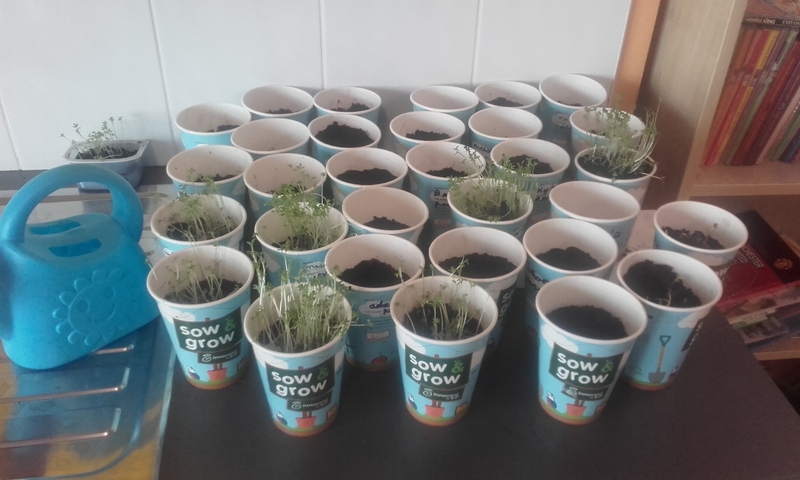 The pupils in Room 9 sent away for a free sow and grow kit from Innocent for Kids. 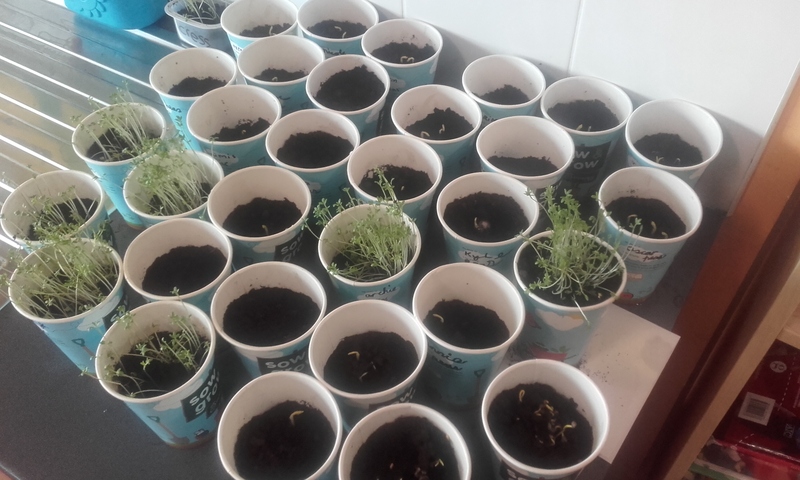 Cress seeds, spinach and peas arrived. 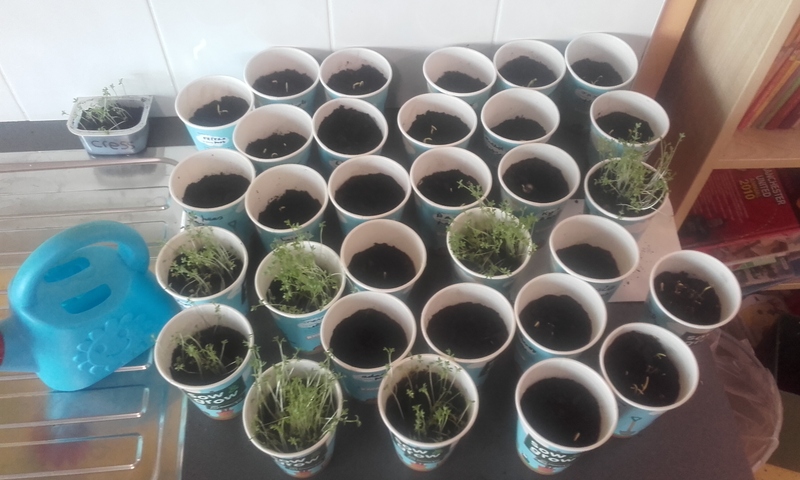 The pupils planted them last Friday and they’re starting to grow already.